What Did You Get for Christmas? I Got an Avatar from Far Far Away! 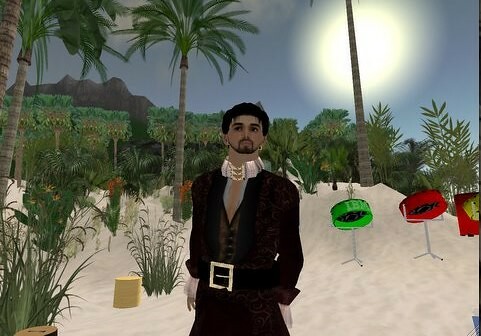 While James Dellow, over at ChiefTech has put together a really nice and well thought out blog post under The Potential for Enterprise Metaverses where he is actually exploring further the role of virtual worlds (i.e. 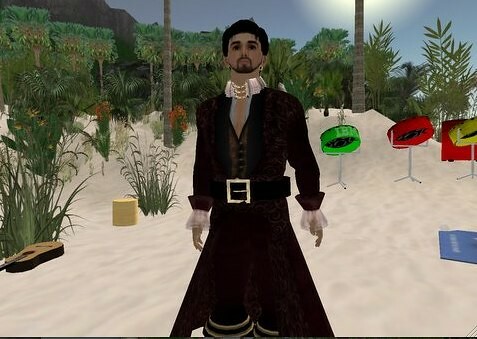 Second Life) to enhance the overall business collaboration and eLearning experiences in the corporate world, and while Jasmin Tragas has put together an incredibly enlightening article on Avatar Affinity, here I am again revisiting the world of the metaverse. Yes, that is right. Even though I have been in Second Life for quite some time now, in the last few months I haven’t spent as much time as I should have, or could have. Well, things may change from here onwards, folks. Now it seems to be a good time. I think it is time to revisit it again and continue exploring its full potential within a working environment to help improve the way we share our knowledge and collaborate with other knowledge workers across the border in this distributed world. But to me there is one other special reason why I am going to hang out much more in Second Life this year. And that is my current avatar elsua Gaea. Allow me to explain further. Back on the 6th of January, and while over here we were celebrating the Three Kings or Three Wise Men, I got pinged by Jasmin Tragas saying that there was a lovely present awaiting for me in Second Life and that I should check it out shortly. And I did. Whooooaaahhhh! I got a lovely new outfit for my avatar, which lately was a little bit left behind. Of course, I had to try it out and lo and behold somehow my inspiration to keep on making use of Second Life re-gained its full energy and commitment. So much so that I already got a couple of community events piled up for the next few weeks and I will be participating as well in a couple of interviews around the subject of social computing! Earlier on today I actually spent a few minutes with Jasmin hanging out together chatting about a few things around knowledge sharing, social software and collaboration. First time we ever hanged out together in Second Life and before we knew it we went further with a photo shooting session, then we played drums and before we knew it time flew, when you are having fun! So, if late last year I lost the connection with my avatar, something that for one reason or another may have happened, I guess that thanks to Jasmin I got it back, not only for her spot on article on Avatar Affinity, but also because she spent quite some time and effort in putting together a really cool outfit for my avatar without asking anything in return. There you have it, the power of social networking and connecting with other knowledge workers regardless wherever they may well be! And then they may say that virtual worlds don’t help get people together and connect, well, they may need to think about it twice now! Well I’m glad you like your dapper new avatar. I just love shopping 🙂 and it certainly helped that I know some of your personality through your blogging, Twitter and our IM conversations, despite a geographical distance. Seriously, just like RL, I can see how the commerce in SL provides the ecosystem to provide services like this to people who don’t have the skill or time to do it. However, its also more the reason we need avatar portability between metaverses… I want to wear what I buy in SL in other metaverses. Hi Jazz! Thanks much for dropping by and for the feedback! It is greatly appreciated! I really like the avatar! Yesterday I was in another orientation session for an upcoming event and felt like *really* being there! So incredibly connected!! And you are right, too! One of the great things from social networking is how you can work through showing your interests, your personality, your expertise and knowledge and people can then build a mental profile of who you are and in your case it was just … spot on!! So thanks a lot for that! James, LOL! I bet she would be really well off in that respect!! I am not sure whether I would be able to find the article again or not, since I lost all of the feeds from the last few years recently, but I seem to recall how there was an intiative (Perhaps even between IBM and Second Life) to actually come up with some sort of virtual worlds standards that would then be extending further into whatever the virtual environment. Not sure whether that is still going ahead for this year or not, but it looks like it was thought about at some point. Oh, while I was just putting together those words I performed a Google Search on the topic and you will find very relevant links on the very top, including the reference to the eightbar blog post where I saw it first. You could even touch base wit either of those folks participating there although I have seen Andy Piper already commenting in your blog post on the subject. Either way, I agree with you that it would be really good to actually have something concrete in this area, along the same lines you identified, i.e. Virtual OpenID Avatar of some sort. Let’s see how 2008 develops further on that need! I hope you have a lot of new great stuff to share from LotusSphere. Ran across a site that has aggregated a whole host of enterprise social networking tools. Wondering if you have reviewed any of them and how you think they compare to Lotus Connections/Quickr? Hope you enjoyed the Swan hotel.